Bitumount was an active camp for over forty years. Some periods were busier than others. At times, the site was a hive of activity, while at others it was all but deserted. 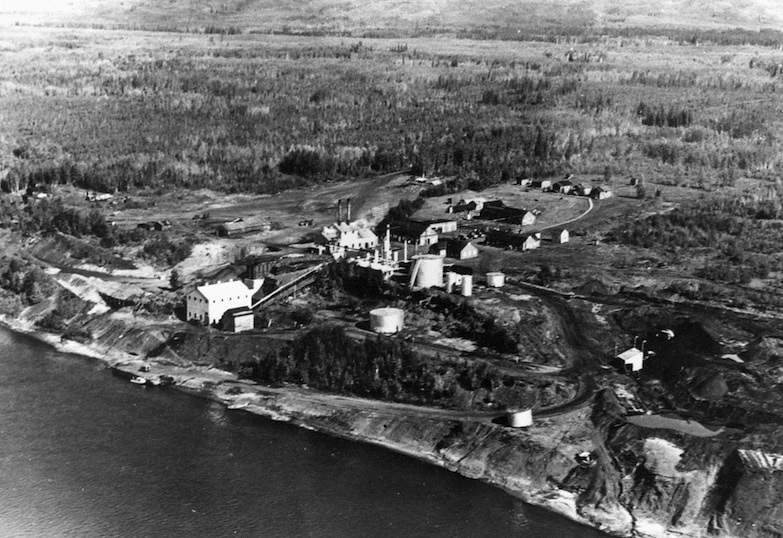 From its earliest days until the oil sands were successfully separated on a commercially viable scale, Bitumount saw many changes. There have been two distinct periods of development at Bitumount. The first began in 1922, when Robert Cosmas Fitzsimmons arrived and started his quest to unlock the potential of the oil sands. After years of struggling to make his International Bitumen Company Ltd. profitable, Fitzsimmons found an investor—Lloyd R. Champion—in 1942. Within two years, Champion had taken over from Fitzsimmons, launched a new company named Oil Sands Ltd., and struck a deal with the Government of Alberta to build a completely new facility at Bitumount. The second period started in 1945, when construction of the new plant was begun. Problems soon arose with financing, as the plant proved to be much more expensive than Champion anticipated. 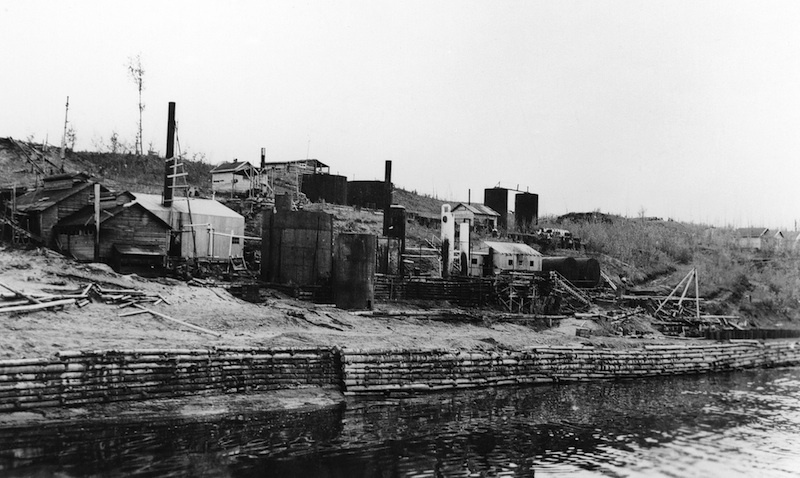 He was not able to raise the money needed to complete the project, and by 1948 the provincial government was in control of the venture, which was re-branded as the Alberta Government Oil Sands Project. 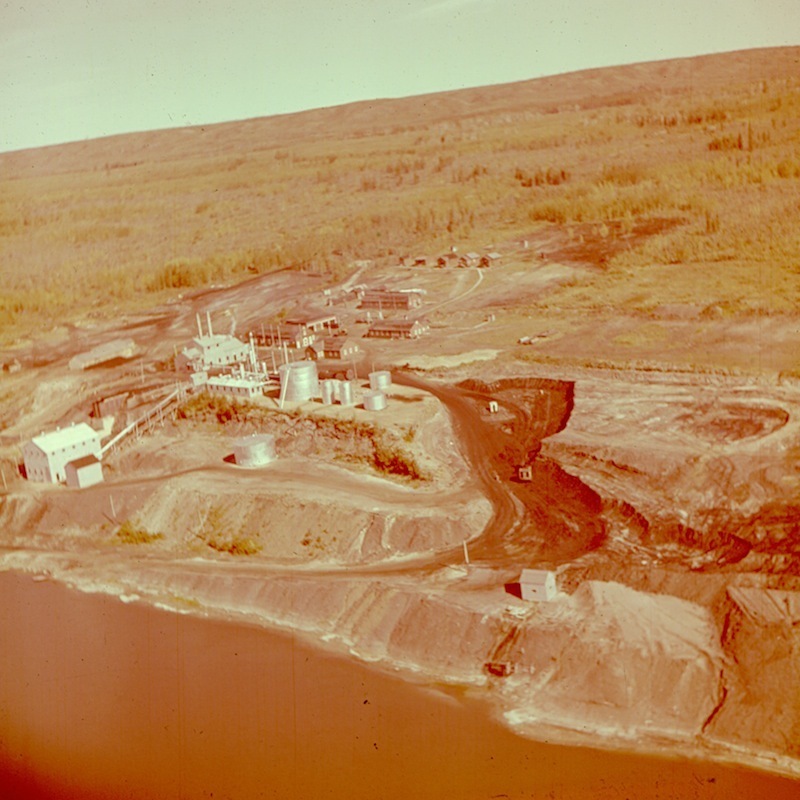 Once the goal of demonstrating that it was possible to separate the oil sands on a continuous, large scale basis was achieved, the Government of Alberta considered its work at Bitumount complete.So, after commissioning a high profile report, and hosting a big international conference, the Bitumount plant was shut down. It had operated for only a very short time and never sold a drop of oil. Eventually, the Bitumount site was sold to an oil company, but it was never put into production. By 1958, the site was abandoned.